Airshow Mastering is thrilled to announce that Airshow and SIA Acoustics principal Sam Berkow, designer of the studio’s new Boulder facility, are nominated for a 2018 TEC Award in the category of studio design. The NAMM TEC Awards, presented annually by the NAMM Foundation at The Winter NAMM Show, are the professional audio and music production industry’s most prestigious awards, honoring excellence in sound technology and creativity. Airshow, which launched 34 years ago in Springfield, Virginia, expanded to Boulder in 1997. In 2016, the Boulder team moved from its downtown location into a newly-built studio located in the scenic foothills five miles west of the city. For studio photos and more information, click here. 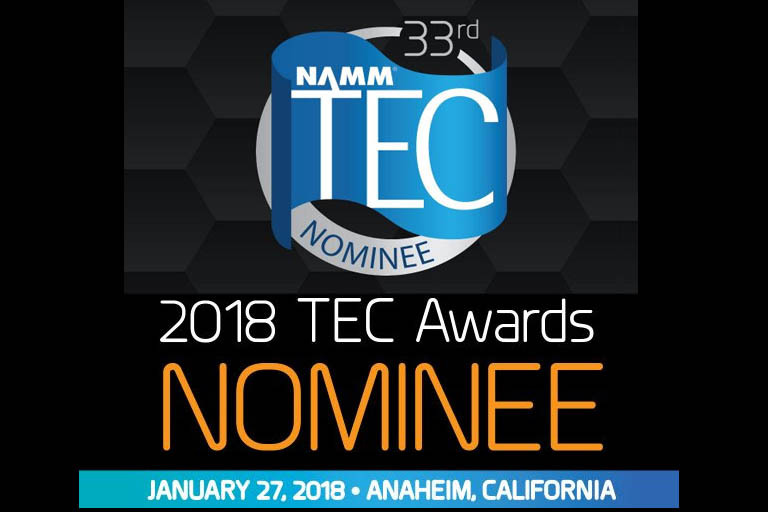 The 33rd Annual NAMM TEC Awards will be held Saturday, January 28, 2018, in Anaheim, California. For more information, visit tecawards.org.